Ah, lawsuits, so much fun. This isn’t the first time we’ve seen a lawsuit over shareholder losses, and we expect it wont be the last time we see such a lawsuit quickly settled. 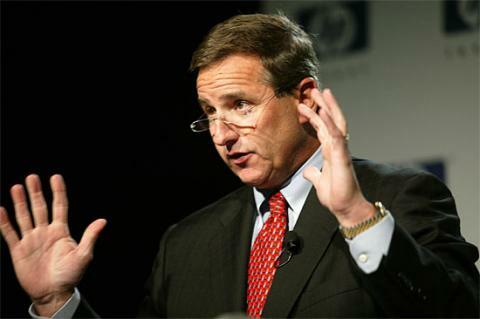 The day after the firing resignation of HP CEO Mark Hurd, the company’s stock (HPQ) dropped more than 10%. Hurd, while not necessarily popular within HP, was popular with shareholders. For comparison, when Carly Fiorina was forced out of the Chief Executive position, HP stock rallied. In total, the massive drop erased some $9 billion in shareholder wealth. Shares have continued to drop since, bringing HPQ down to levels not seen since July 2009. For those with large investments in HP, the drop was a kick in the tender nether regions. One of those large investors is Brockton Contributory Retirement System (BCRS), a $266 million pension fund for Massachusetts public employees. BCRS was so enraged by the stock price drop that the decided to sue HP’s board, Hurd, and acting CEO Cathie Lesjak. The defendants are accused of gross mismanagement of HP, and BRCS alleges that HP’s board could have substantially limited Hurd’s multi-million dollar severance package. BRCS’s demands are unlikely to be fulfilled. The pension fund wants for HP to restrict Hurd’s severance package (a deal likely negotiated as part of his hiring contract, and again for his firing resignation) and for the defendants to pay back HP for money lost due to the scandal (HP itself has lost little money in the grand scheme - stock value has little effect on the company’s profits). Additionally, the suit demands that HP change its corporate rules to prevent board members from also serving as HP executives (Hurd was both CEO and Chairman). So you might be asking why Lesjak was named in the suit. Both she and Hurd have also been accused by BRCS of insider trading. Hurd sold some $11 million of HP shares in November and May, while Lesjak sold 5,785 shares of HPQ (around $266,000) on July 30, a few days before Hurd’s departure was announced and she stepped into the interim CEO position. While we’re not legal scholars my any estimation (okay, Jonathan Ezor actually is), our expectation is to see this settled out-of-court for a few million bucks. For BRCS and their lawyers, it’ll be a good day, while for HP it’ll be a drop in their $14 billion cash-on-hand bucket.